Since 2012, Tortuga Sailing Adventures has been providing yacht charters for small group excursions. We typically roam the waters of the lower Florida Keys archipelago traveling as far out to the Dry Tortugas National Park with an occasionally sail to the Bahamas. Adventure loving, water seeking visitors coming to Key West will find that we provide several options for all inclusive day and overnight excursions with a focus on fun and easy times for our guests. While out to sea with captain and crew, you can indulge yourself in a variety of watersports activities, expect interaction with an array of marine life and find the yacht to be a relaxing sanctuary. We choose less travel destinations that include pristine reefs, wrecks, sandbars and uninhabited island generally within a few hours range of our home port in Stock Island Marina Village, located just minutes from downtown Key West. S/V Tortuga, a Manta 42’ catamaran is our featured yacht. The impressive blue ocean sailing cruiser touts’, comfortable staterooms, ample decks and first-rate construction. Solar panels, a fresh watermaker, generator and air conditioners top our list of must haves for even the shortest vacations at sea and are always included. Owner/Captain Rick Super has added several additional amenities to make liveaboard vacation cruising much more livable – even luxurious. Step aboard! We invite you to see all the wonder that our islands and waters have to offer you as you experience a carefree yachters lifestyle in a world where glorious sunrises renew your spirit and incredible sunsets wash any worries away - a time to renew, refresh and unwind. 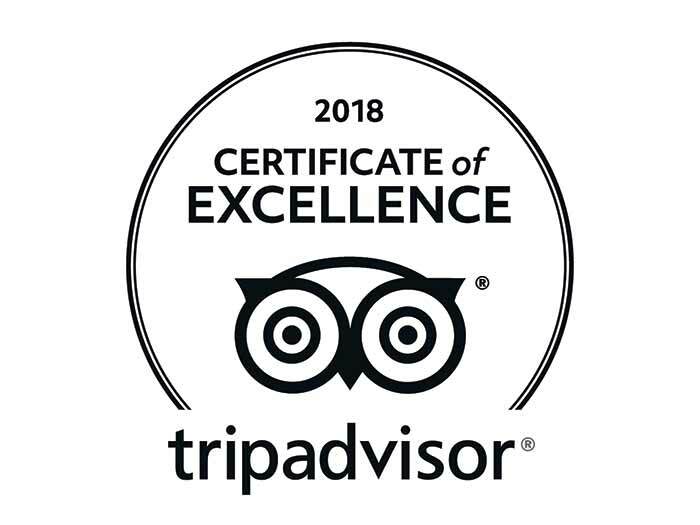 We are proud to be awarded year after year, TripAdvisor's Certificate of Excellence. We encourage you to see what past guest have to say about us. Tortuga Sailing Adventures provides all inclusive catamaran yacht charter excursions in the waters near Key West, Florida. Our private charters cater to groups of 6 GUESTS OR LESS, AGES 10 AND UP. We are limited to six passengers by law. S/V Tortuga, a Manta 42’ catamaran is our featured yacht. The impressive blue ocean sailing cruiser touts comfortable staterooms, ample decks and first-rate construction. Solar panels, a fresh water maker, generator and air conditioners top our list of must haves for even the shortest vacations at sea and are always included. Owner/Captain Rick Super has added several additional amenities to make live-aboard vacation cruising much more livable – even luxurious. Adventure seekers that want to experience a carefree yachters lifestyle and the warm tropical waters will find that we provide several options for day tours and at sea overnight accommodations. The focus is on fun and easy times for our guests. Destinations include reefs, wrecks, sandbars and uninhabited islands. Activities options include snorkeling, free diving, lobstering, fishing, kayaking, paddle board, beach strolling, out island exploration and of course, sailing. In these breathtaking surroundings, you can explore endlessly above or below the water, interact with an array of marine life, feast on the crew-prepared foods and relax comfortably on the yacht. Our pre-designed vacation getaway packages are an easy solution where you pick the adventure, date and how long you stay aboard. If you don't see what that fits your taste, simple let us know and we can customize most excursions just for you. Know before you go...The S/V Tortuga crew is comprised of licensed, experienced sailors holding a vast knowledge of local waters, land and weather conditions. Our crew members hold additional credentials including Blue Star Certifications, CPR, Open Water Dive and Florida State Safe food handler certifications. Every vessel within our fleet is USCG approved, fully licensed, insured and maintains a valid Dry Tortugas National Park CUA permit. All of our water sports equipment is continuously updated and kept sanitary for your use. Click on the icons to see that we value, our past guests opinions, our marine life and ocean and how we strive to improve the lives of all those we touch through our business practices and goals.